As a trust worthy service provider of this domain, we are committed to offer our clients a superior assortment of Chip Level Repairing training service. This group undertakes the responsibility of repairing Mother Boards, Logic and Circuit Board, Scanners, Printers Ram, HDD, FDD, Monitors, CD-Roms, UPS etc. and with latest equipments this group is one of the best in Kolkata with just few to compete. 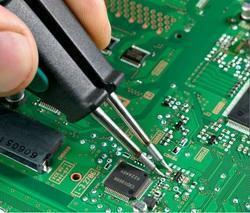 We are also LG Authorised Service Center and undertake repairing of LG IT & GSM Products. 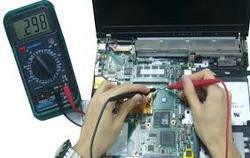 All brands of Laptop & Desktop Chip Level Repairing & Servicing done here.